Pont Aberdaron was significantly damaged by an Articulated Lorry, which was lost on his way back to Pwllheli having followed his sat nav. 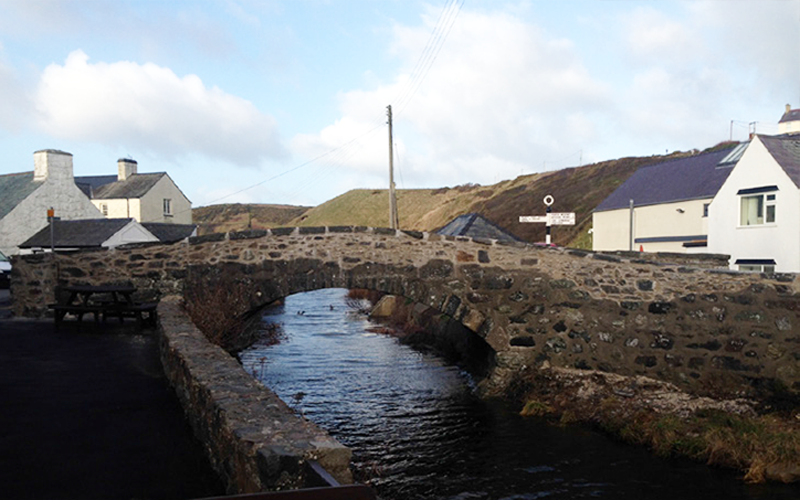 The bridge is an integral part of the Aberdaron community and is the main link to the village, therefore the work had to be carried out quickly. The work involved recovering the old stone from the river and a complete rebuild of the upstream parapet including some of the bridge spandrell. 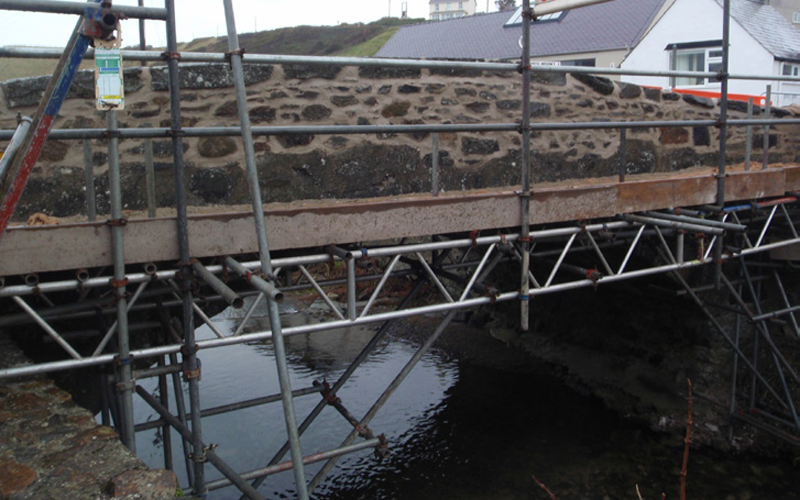 As the bridge is grade 2 listed it was essential that most of the existing stone was recovered and the imported stone matched the existing. 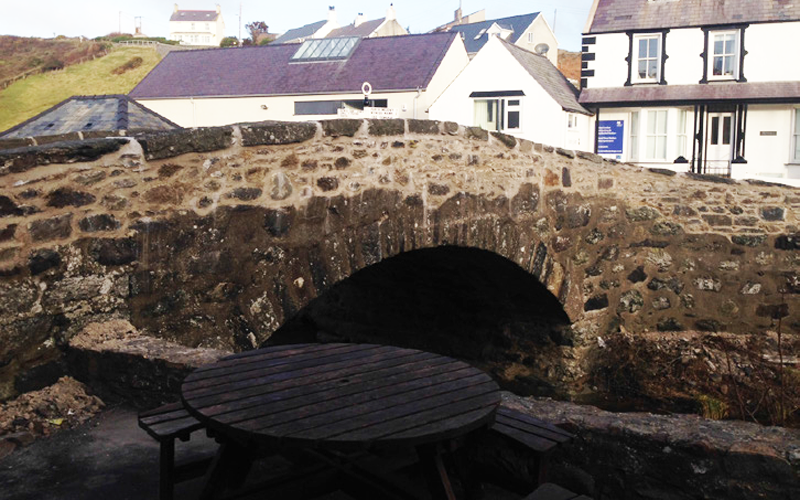 As the bridge is a grade 2 listed structure it had to be rebuilt using Natural Hydraulic Lime Mortar. YGC’s role involved acquiring all the necessary environmental consents, liaising with the planning department, appointing a contractor and supervising the works on site. G H James Cyf was appointed to carry out the work, who are a local contractor that specialises in stone masonry work. The works ran smoothly through close supervision and liaison with the contractor and the bridge was reopened within a week and a half.